In market research terms, the approach is your methodology; it defines how you listen to your customers, and there’s no one approach that’s right for every journey or customer. For example, you may not be able to use the same method to learn how a CMO selects a customer relationship management platform as you’d use to discover how a patient selects a primary care physician. 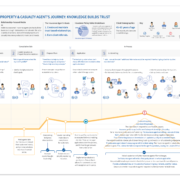 In customer journey mapping, the goal is to learn the steps a customer goes through, who the customer interacts with, and the emotions the customer feels along the way. The best way to learn what customers think and feel during a journey is to collect the information as it happens. In his book, Thinking, Fast and Slow, Nobel Prize-winning psychologist, Daniel Kahneman explains that we have two selves — the experiencing self and the remembering self. People live with the remembering self, and a person’s perception of an experience is disproportionately based on two points: the peak point of pain (or pleasure) and the way the experience ends. It’s best to select a methodology that collects information while customers are in the experiencing mind because people tend to forget much of what happened during an experience after it’s over. We utilize IDIs as a core methodology for collecting information about the customer journey and, when possible, capturing information from customers during the journey. IDIs are guided discussions typically lasting 45-60 minutes. As customers experience journeys individually, we conduct interviews individually in both B2B and B2C settings. IDIs allow the interviewer to see customers’ emotions and learn about the context. IDIs work best when conducted at the customer’s workplace or at their home, so you can see customers in their natural environment. 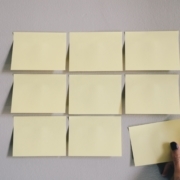 Customers find it easier to provide detail when they are in a comfortable environment and often have important artifacts within easy reach to show you, such as a stack of file folders or password-filled Post-it Notes. IDIs can also provide critical clues about how the journey works. 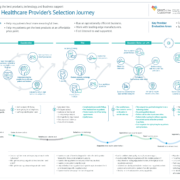 For example, when mapping the journey of a physician prescribing and ordering a medical test, one doctor told us that she would like to have a demonstration kit to show patients how the medical test works. While the doctor was saying this, we could see the demonstration kit sitting unopened on the shelf behind them! In this case, we also were able to see if the medical test marketing materials were displayed in the office waiting room. It’s important to include journey mapping team members in the interviews. 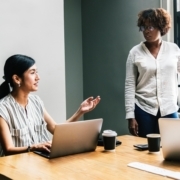 When we conduct in-person interviews, a Heart of the Customer representative leads the interview and a representative from our client’s journey mapping team acts as observer and notetaker. 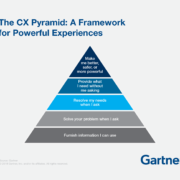 This allows multiple people across interviews to experience customers talking about an experience firsthand, and starts the customer empathy building that is critical to driving change based on journey mapping. We offer the client observer an opportunity to ask questions near the end of the interview. This is a best practice for immersing our clients’ employees in the customer experience. Remember to bring a video camera. Another best practice is to record video and audio for all in-person interviews. We typically receive push back from our clients when we suggest this process – and we’ve learned that it’s because they are uncomfortable thinking about being videotaped. It turns out that customers are comfortable being videotaped as long as you tell them that this is the normal practice for collecting the voice of the customer. When scheduling interviews, we tell customers that we will be bringing recording equipment along with us to accurately capture their voice. 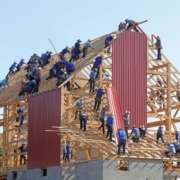 Once the interview is complete, we ask the customer for permission to use their recording inside our client organization, and most readily agree. The video and audio recordings give us the opportunity to share customer voices with others inside our client organization to help us drive change to improve the customer experience. Virtually all customers allow us to record audio, and well over 90% agree to let us use the video camera. Remember why you’re collecting the information. We think about map creation and reporting journey insights throughout data collection. We have found that presenting video and audio clips of customers talking about the journey – their experiences, emotions, delights, and pain points – goes a lot further than a written report alone. So grab your video camera and go! Join us for our Untold Secrets of Customer Journey Mapping Success webinar on May 2. Who’s the Right Customer to Map? 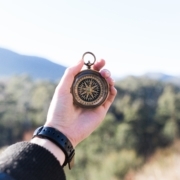 Your Third Journey Mapping Question The Most Important Question: Who’s on your Journey Mapping Team?